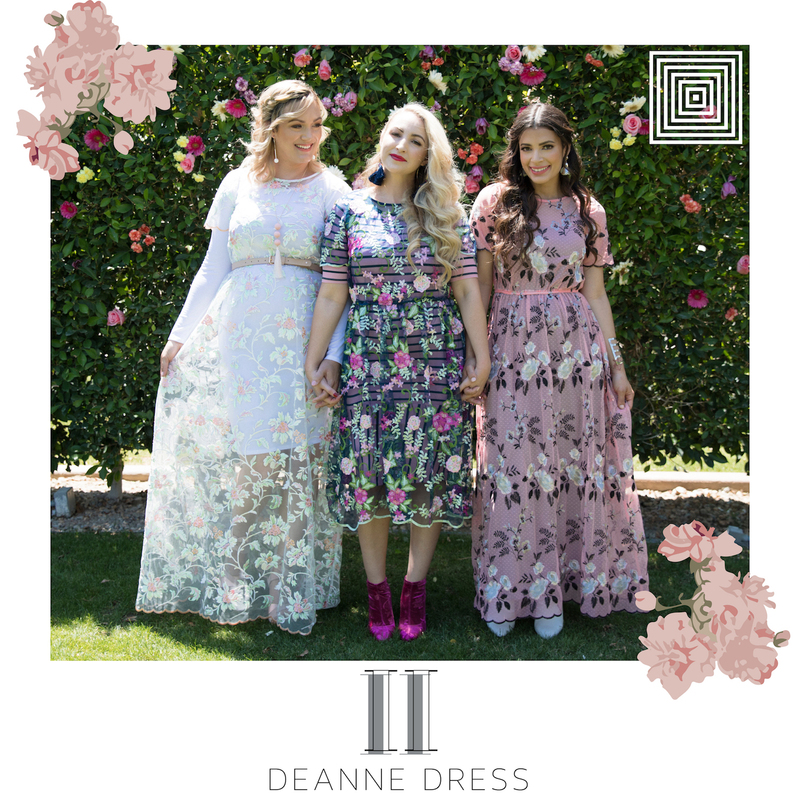 The Deanne II is a layering dress – a sheer embroidered maxi dress with high neckline that tucks slightly in at the waist and features an elegantly scalloped edge along the sleeve and neckline. The Deanne II is exquisite, feminine, romantic, dreamy; it’s a literal showstopper and will elevate even the most beautiful outfit it is paired with! If you would like to purchase this beautiful piece, please click here.